Alright, once again, I finished the book almost two years ago and because I was in school and had other nonsense going on, I took very few notes and put off writing the review until now. I have few details to give, which is especially depressing when you’re giving a low rating to a book that is beloved by thousands, if not millions, of readers. You want to have more to say to defend your opinion, but… well, yeah. 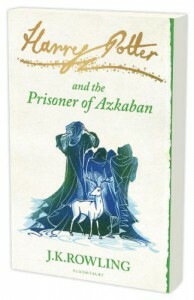 When I first tried to read this series at the age of thirteen or fourteen, Prisoner of Azkaban killed me. I quit partway through, and this is a big deal because I never just quit a book. I have not finished exactly two books since Prisoner of Azkaban all those years ago, and both of those were because they had graphic sexual content—obviously not the case here. Even the second time around, it took me months to finish this book. This book is just boring. There’s not a lot happening, and it follows a very distinct pattern from the first two books. I enjoyed Lupin, but that was about it. There’s an incredibly interesting story lurking somewhere underneath the side plots and downright boring writing. Without the nostalgia of reading this as a child, I don’t have a lot of patience for the childish nature of the side stories and writing. Most of the story happens in a few exciting chapters, but everything else is muddled and boring. I get that these books are sentimental to lots of people, and I know there are things I love to read that others find boring, but this one was just kind of painful to get through. Overall: Fortunately, I’ve already read Goblet of Fire, and I actually enjoyed that one. For me, this is where the childishness ends and we can move forward into a grown up and intricate plot. I’m relieved to put this one behind me and move forward with the series. I can’t count how many people told me to skip to Goblet of Fire to begin with, and they’re certainly right. Read this review on my blog!